Since I also have the ominous clicking sound coming from the depths of the cockpit, signalling that the AC motors or better to say the gears inside are shot, and I do have a replacement used set, so before I decide to tackle the task of dismantling half of the car, (Would the responsible engineer please stand up, so I may have a word with him) I wanted to check the condition of the replacement unit. A dry run showed that they run fine, yet how they would perform with the cable attached no one knows. 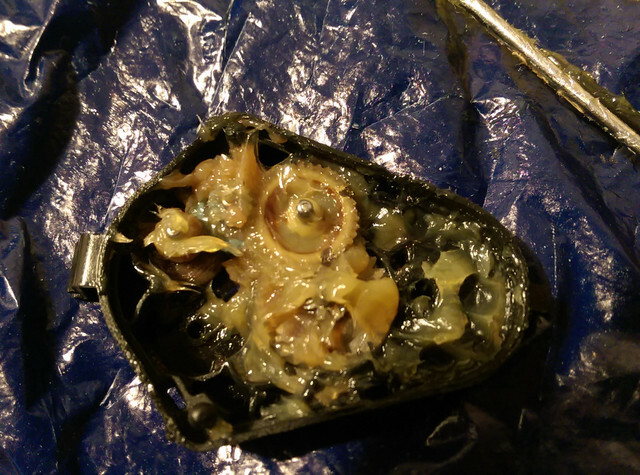 After the housing has been opened the gears are revealed, the problem lies in the three smaller ones, which are made from plastic. Also, the grease is old and not much is present I'd like a word with the engineer who thought of that. 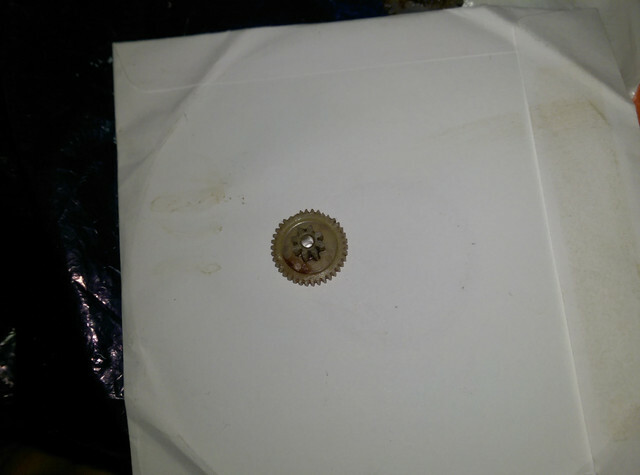 In this gearbox, the first small gear had a few broken teeth at two places. 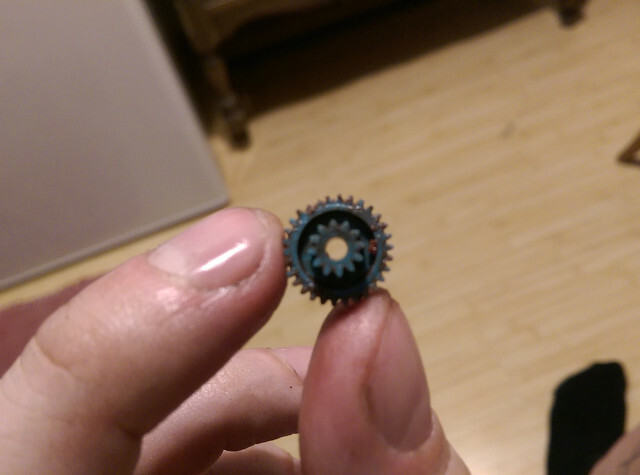 Luckily I figured out that the gears rotate only about 1/4 of a full circle. So after marking the damaged areas, the gear is rotated by 180° and put back into the housing, also "a little bit" of grease is applied. 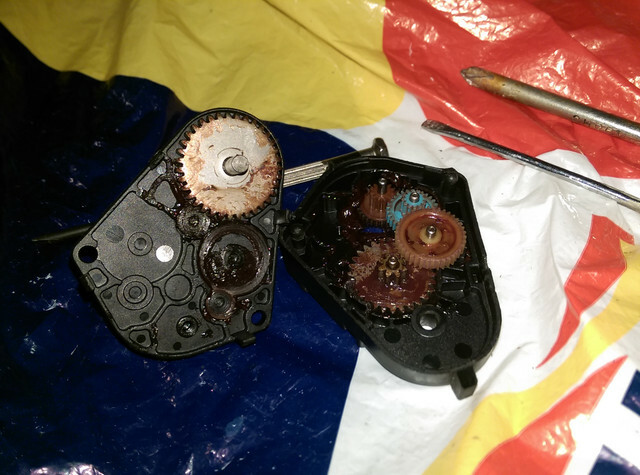 After one gearbox is sorted time for the other, in this one the gear that was faulty in the first one is OK, yet the second one which is turned by the motor is damaged. Again rotated by 180°, put back into its place and greased. So now the only task left is taking half of the car apart and replacing the the unit. See p. 10 for swap of gears. Due to their HVAC software, BMW gears don't get stressed out. The above referred instruction how to proceed with this stepper motor is very good and helpful. Due to I need to change this part as well on my 164 I would like to ask if there is some experience around for the Super V6 12v models with this 33 ohm resistance modification. Is it recommended to do on my car as well? "While the motors remained the same, there was a change starting in '94 with the AC controller (LCD display). While stationary, the stepper motors receive a periodic pulse from the controller to maintain their relative position. This pulse caused "hammering" on the stepper motor gears and is what ultimately causes the "wear & tear" leading to failure. In '94 the controller was reprogrammed to reduce the pulse frequency by 50% to help improve life expectancy of the gears in the stepper motor. I left employment with Alfa in '96, so I don't know if this change produced the desired improvement." Two different ways improve gear longevity: 50% fewer pulses OR ca. 30% less power (via resistor mod). 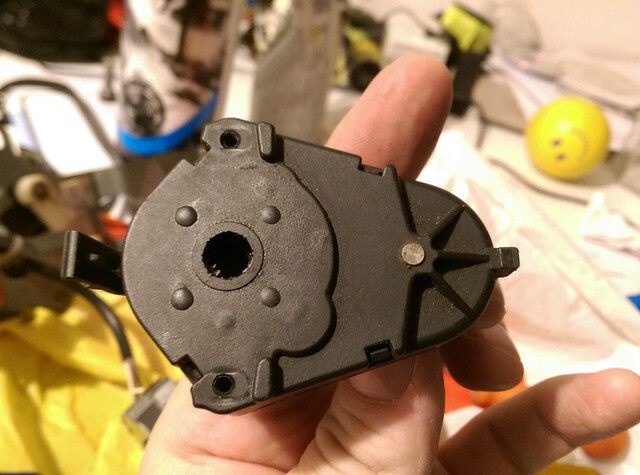 So I am more confident not to rework the stepper assembly - I found, according to its former owner it was unused. Very good and in-depth info. Amazing you could "dig that out"! Thank you for sharing.